Giant 18ft Tree Man at Lindfield Arts Festival! Move over Stick Man with your stick Lady Love and your stick children three. This autumn it’s all about Arbor the colossal tree man! 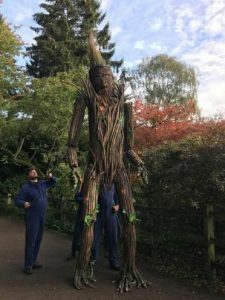 This sky-scraping walkabout puppet is part man, part tree and towers over you at 18ft tall! Follow him as he strides between the trees and emerges with his cart full of tree saplings. Arbor tells the story of a tree pushed from his home and his fight to preserve his future. You’ll learn how Arbor came to be thanks to amazing puppetry and beautiful visual storytelling. 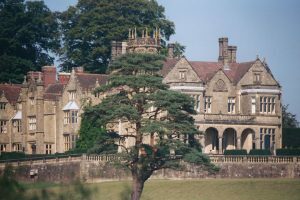 This special LAF family-friendly event will encourage the audience to plant and nurture their own trees. Arbor will give each family a native tree sapling to take home, leaving a legacy that will last for generations.